Vitamin A- Beneficial for your eyesight, growth, and appetite. Deficiencies in Vitamin A can result in night blindness. Vitamin A is found in liver, dairy, carrots, green veggies, and egg yolks. Vitamin D- Good for your bones and teeth. If you do not get enough, you can suffer from weakened bones and unhealthy teeth. Try consuming dairy and fish and get a lot of sunlight. Vitamin E- Best for destroying unwanted toxins in the body. Lack of Vitamin E can cause muscle weakness and fertility problems. Eggs, nuts, green leafy veggies and vegetable oil are all high in Vitamin E.
Vitamin B1- Great for your central nervous system, digestion, and heart. If you are deficient in Vitamin B1, you may be suffering from confusion, lack of appetite, difficulty balancing, and exhaustion. Try eating liver or other red meats, egg yolks, nuts and cereal. Folic Acid- Beneficial for the production of red blood cells, helping fight fatigue and anemia. Eat eggs, green leafy vegetables, liver, carrots, whole wheat, apricots, melons, and avocados for Folic Acid. Vitamin B2- Awesome for your eyesight, growth, skin, hair, and digestion If you’re lacking Vitamin B2 you may have irritated eyes and an itchy nose, mouth and throat. 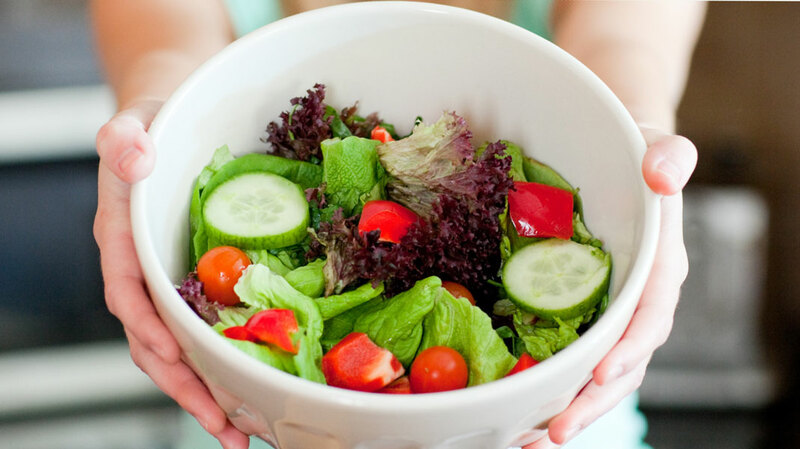 Liver, dairy products, fish and green leafy vegetables are best for consuming Vitamin B2. Magnesium- Useful for cell repair, bone and teeth strength, muscles, and converting food to energy. Muscle spasms, diabetes, weak bones and hypertension are often caused from Magnesium deficiency. You can get more by eating whole grains, nuts and vegetables. Vitamin B6- Helps in the absorption of proteins and carbs and helps prevent skin conditions. Eat fish, bananas, poultry, pork and whole grains to get the best Vitamin B6 intake. Iron- If you want to better your immune system, muscle function and while and red blood cell production, Iron is the Answer. Foods high in Iron are whole grains, leafy vegetables, lean red meat, egg yolks and nuts. Vitamin B12- Beneficial for nerve development and blood production. Vitamin B12 deficiency can cause fatigue, anemia and memory issues. Foods high in Vitamin B12 are shellfish, dairy products, eggs and liver. Calcium- Best for bones, teeth, and blood clotting. You can get the most Calcium from dairy products and green leafy vegetables. Deficiencies in Calcium can cause brittle bones and unhealthy teeth. Vitamin C- Vitamin C is best for your immune system, healing wounds, cholesterol reduction and longer cell life. Peppers, tomatoes, fruits (mostly citrus fruits) and green vegetables have Vitamin C.
Zinc- Better immune system health and protein, fat and carb breakdowns are helped with the consumption of Iron. Meats, shellfish and whole grains will help keep your skin, eyes and throat in better shape. It will also prevent hair loss and diarrhea. Tags: Benefits of ChiroBenefits of ChiropracticBenefits of Chiropractic AdjustmentsBenefits of Chiropractic CareBenefits of Chiropractic HealthChiroChiro BenefitsChiropracticChiropractic Adjustment BenefitsChiropractic AdjustmentsChiropractic BenefitsChiropractic CareChiropractic HealthChiropractic Health benefitsGet more Vitamins and MineralsMineralsVitamin DeficiencyVitaminsVitamins and MineralsWhat are Vitamins good for?